Theater or Theatre? Does it matter? No. I don’t even get confused when I go to the Houston Theater District to enjoy a play at the Alley Theatre. I’m so smart. All I know is that one of the best reasons for living in Houston is the Houston Theater District. This includes 17 blocks in downtown Houston that houses 9 professional performing arts organizations. My Dear Friend (DF) and I go to as many performances as possible. However, if you think the only performances worth writing about are found in venues such as The Wortham Center or Jones Hall, then you would be mistaken. Just the other evening DF and I decided to go downtown for dinner before attending a performance by the Houston Ballet. 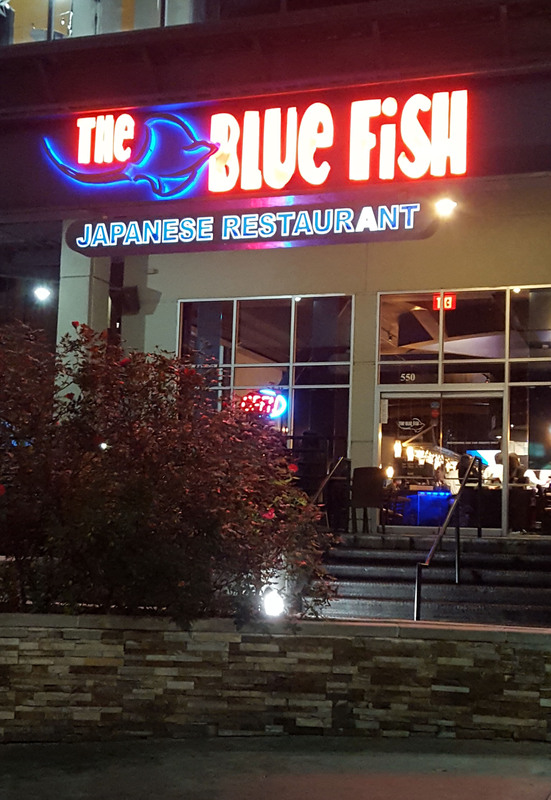 We decided to eat at The Blue Fish. If you have never been there, it serves a wide variety of Japanese dishes that will delight both the meat‐eater in your crowd as well as the vegetarian. I personally swear by the Agadashi Tofu and the Grilled Veggies. However, this most recent visit had us placed at a table where I could observe the bar area, the reception area and one of the doors that led to the kitchen. What a floor show! The choreography displayed by the staff could rival anything I have seen created by Stanton Welch (Artistic Director of the Houston Ballet). Movement never stopped and I only saw a waiter hit the kitchen door once during our visit. Why such a display of ecstatic waitstaff dancing? At night when several venues have scheduled performances, most of them begin at either 7:30 or 8:00. That means that everyone who wants to enjoy dinner before their show gets to the local restaurants at the same time. By 6:15 the tables are filling up fast. There is a line of customers coming in the front door. Everyone wants to get to their theater performances on time. No time for dawdling!!! 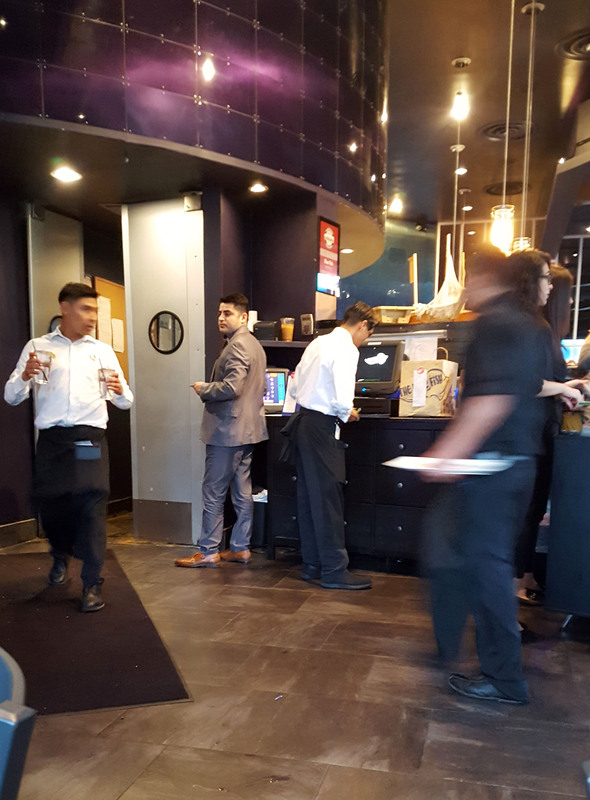 Water is delivered to the tables, orders are taken, the bartenders are shaking their martini shakers, sushi chefs are slicing and dicing, and customers are chomping and imbibing. 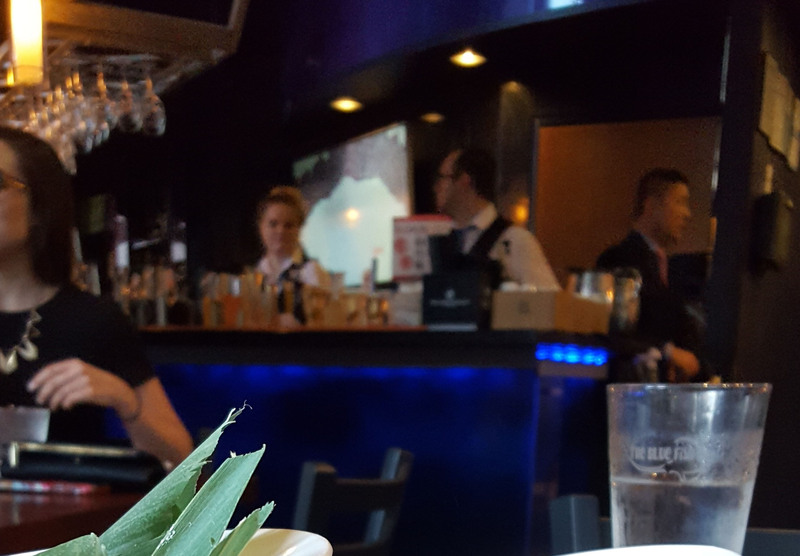 I couldn’t even get a decent picture of the bar staff, because they were moving too fast. Once all the shows begin there might be a lull until later when everyone who didn’t have dinner before the show enjoy a light repast before heading home… or elsewhere.…..it’s not for me to judge. When our dinner was over, DF and I made it across the street to the Wortham Center in time to enjoy another wonderful performance by the Houston Ballet. After the show, DF and I made our way back to the car as we observed another round of theater‐goers making their way into the Blue Fish. I hope they enjoyed the floor show as much as I did.